In the last 25 years progress in information gathering and dissemination has surpassed that of any other period of history. Apiculture and apicultural research have been very much a part of this progression. Besides titles and authors, most of the entries have an abstract of the work or a note to amplify the title. Each entry is accompanied by various symbols and abbreviations, explained in a key, which indicate such things as original language, when published, where published and details of where a full version may be obtained. Bees are recognised as very efficient pollinators: furthermore, they are consistent and diligent foragers. They will visit hundreds of flowers of the same kind in a single day. Because of this they have a vital role in increasing food production. 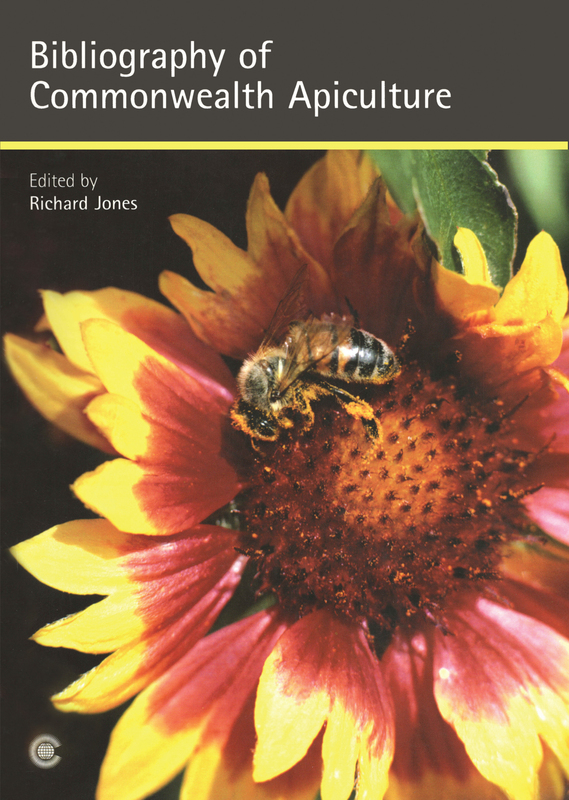 It has been shown, but is often forgotten, that we depend for a huge percentage of our food production on the unmanaged pollination services of wild bees. Pollination is essential for the reproduction of many flowering plants. It results in seeds which in turn mean crops which can be sold an eaten: for example, beans where the seed itself is eaten and fruits like apples and plums which develop around the seed. In short better bee husbandry means better crops, a better environment and, as a bonus, there are the cash crops to be found in hive products themselves.